According to WHO, up to 20% of young people worldwide suffer from a mental health disorder. A report from Australia revealed that more than 60% of young people with a mental health disorder are uncomfortable about seeking professional support. When young Australian Jamie Druitt went through a difficult breakup he needed sympathetic listeners, but talking to friends and family was hard. He set up TalkLife, a social network app for young adults to support one another through trying times. TalkLife is a safe environment for 16–24 year olds to post about anything that is bothering them – from upsets at school, breakups and family issues, to dark thoughts about self-harm, depression and suicide. Other users can respond with words of encouragement and support, sharing their own experiences and allowing posters to fully open up to a community of peers. Users can have profiles or post anonymously if they prefer. Druitt launched TalkLife in the App Store in 2013 and it was clear from the start that the network was going to grow and grow. 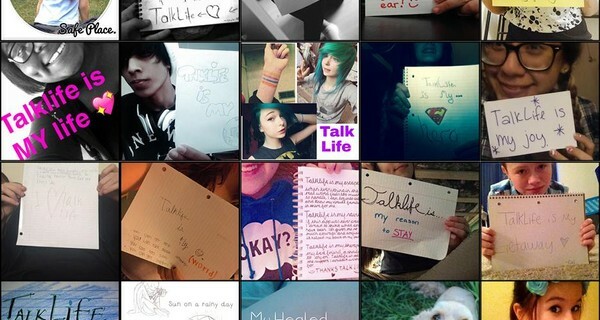 Young people were searching the App Store for a place to talk about problems and taboos, and they were finding TalkLife. It is available on iOS and Android and is one of the highest ranking apps on Google Play and the App Store for the search terms ‘suicide’ and ‘self-harm’. Now TalkLife hosts about 8,000 users and 14,000 posts every day from 125 different countries. If you are 16–24 and need a friend to talk to, download TalkLife to join a community of thousands of young people like you.